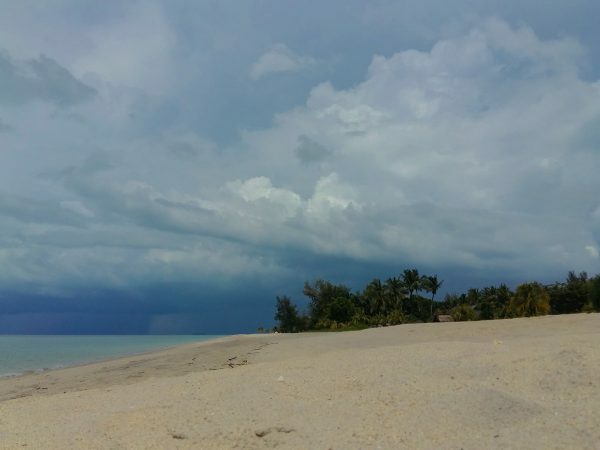 Ask locals, in Langkawi, Malaysia, what the islands’ weather is like, for a particular time of year, and you will get a variety of responses from the various self-proclaimed weather experts. That will be especially true during the Langkawi rainy season(s). According to scientific data the ‘official’ Langkawi rainy season is from September until about mid-November. However, there will also be bouts of rain from mid-April until August, with rains generally falling for just a few hours a day and often only in the late afternoon and evenings. But the added bonus of visiting the Langkawi archipelago during the rainy season are generally lower rates on hotels and car rentals. Plus, you will often be blessed with hours of intermittent sunshine. Visiting Langkawi, Malaysia during the monsoon season? Not a problem. Entertainment options abound, regardless of the precipitation factor. Have umbrella will travel! Aside from enjoying the carefree perks and amenities of your hotel room (hello, afternoon nap), there are quite a selection of things-to-do on a rainy day. Guaranteed to keep you essentially dry and prevent cabin fever. So, grab your umbrella and let’s go! 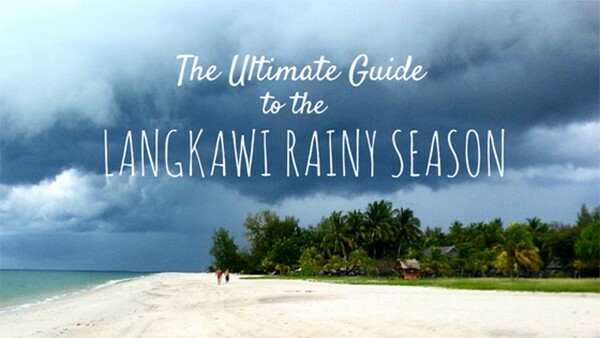 What to do During the Langkawi Rainy Season? Plenty! Visit Oriental Village in the rain? Yes, absolutely! 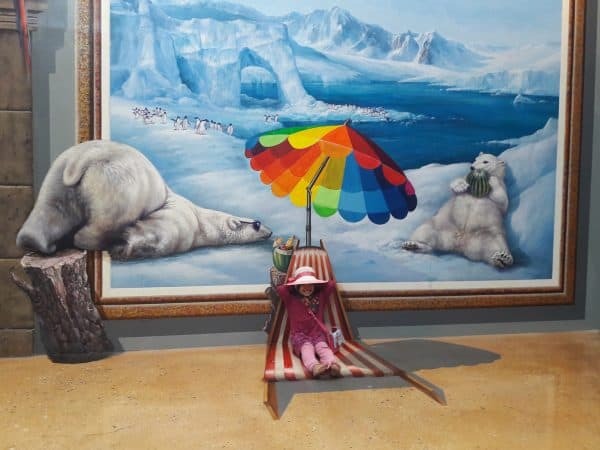 Oriental Village is not only the home of the famous Panorama cable car and Skybridge, it is also home to Art in Paradise 3D Interactive Museum. 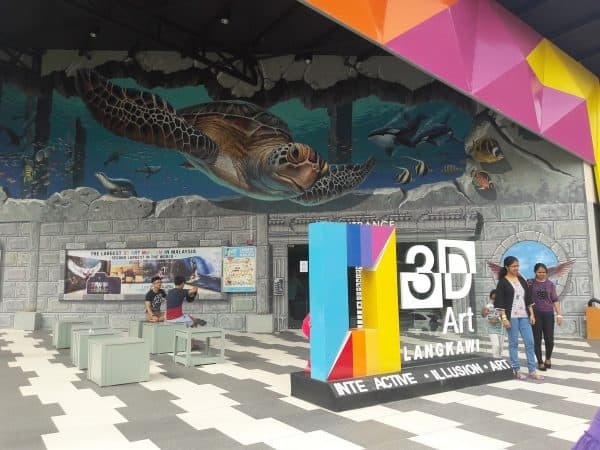 The three-level 3D optical illusion art attraction combines optical magic and pure fun as well as some art education and certainly enough visuals to fuel those rainy-day imaginations. With over 100 paintings and murals on display, as well as 100 actual shooting points, one can easily spend a few hours there and not be bored. 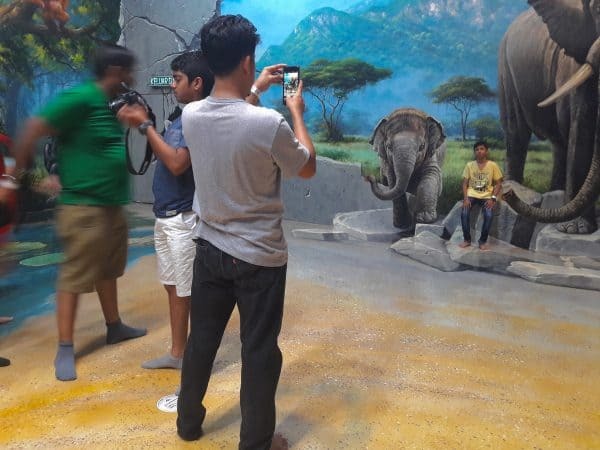 But in addition to the 3D museum, Oriental Village has several other indoor activities such as the SkyDome, the Time Tunnel and a Virtual Safari. 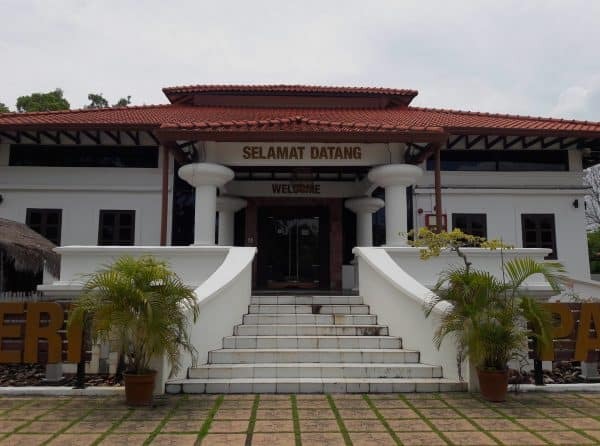 While you are in the neighborhood, the Universiti Kebangsaan Malaysia (UKM) is just up the road (route 113) from Telaga Harbor and has an interesting number of natural history displays. This branch of the university is a research center and the exhibition is primarily for educational purposes (not sightseeing masses). 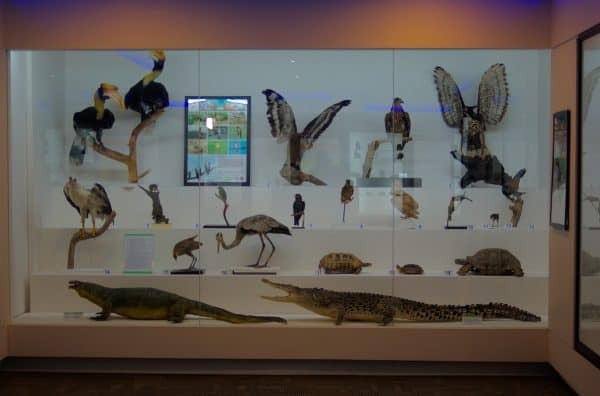 But if you are keen on learning more about the geological and wildlife aspects of Langkawi, then the UKM ‘museum’ is worth a visit. They are generally open Sunday through Friday 08:00 to 16:30 with a lunch break from 13:00 to 14:00. 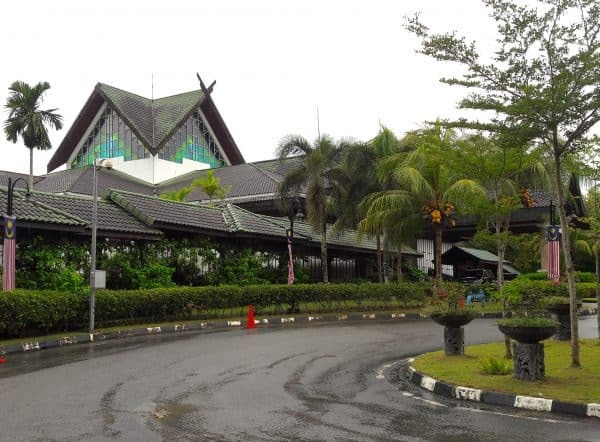 If you are make a special rainy day trip to UKM it may be advisable to phone ahead and secure an appointment. Head across the island to the north side of the island and the Komplex Kraft (Craft Complex) offers another culturally stimulating option to while away those wet hours. The complex covers about 32 acres of land and the main building itself houses three separate museums. It can be confusing for the directionally challenged (like me) so it is recommended to grab a free map on entry (if they are available). In addition to the Heritage Museum, there is also a Wedding and Cultural Museum. Komplex Kraft also provide free guided tours, which you will need to specifically inquire about at the front desk. Entry is free with additional pre-arranged batik classes offered for a small fee. One of the perks of being a well revered political figure is a lifetime of being showered with awards and gifts. 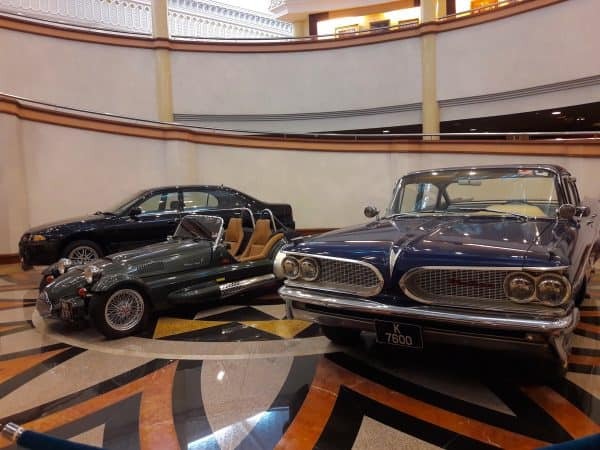 Galleria Perdana is all about former Prime Minister Tun Dr. Mahathir bin Mohamad. 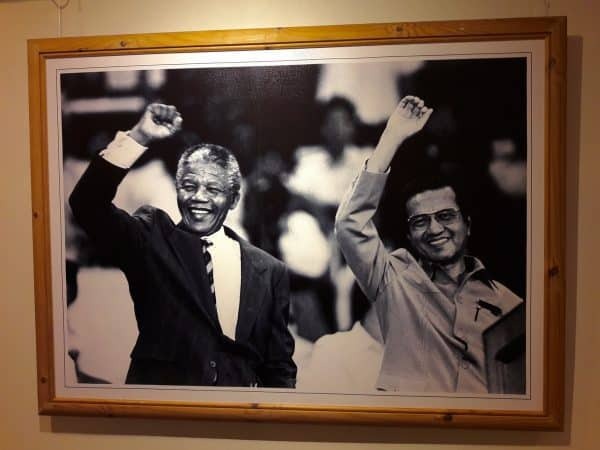 The gallery showcases awards and gifts Dr. and Mrs. Mahathir received from world leaders, statesmen and Malaysians during Mahathir’s tenure as Prime Minister. You truly must see it to believe it. Expect to spend at least two hours there viewing the extensive collections as well as reading the many accompanying informative plaques. Entry is 10-ringgit for adults. Do note that non-cerebral children (and adults) may find the exhibits overwhelming. Rainy Season and padi fields go hand in hand and what better time to learn all about rice! 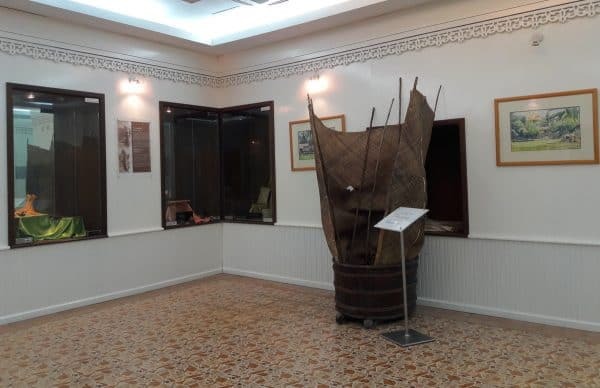 The Laman Padi Museum showcases the historical and cultural significance of traditional padi-farming. 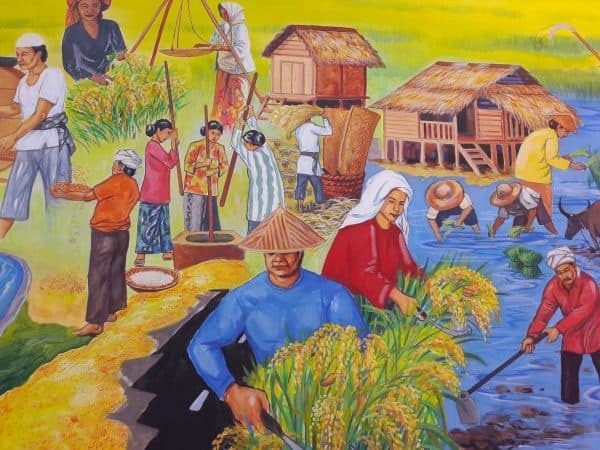 And depending on staff availability, the museum also offers visitors the opportunity to plant some rice in the adjacent padi field. However, that activity may be more pleasant on sunny day. 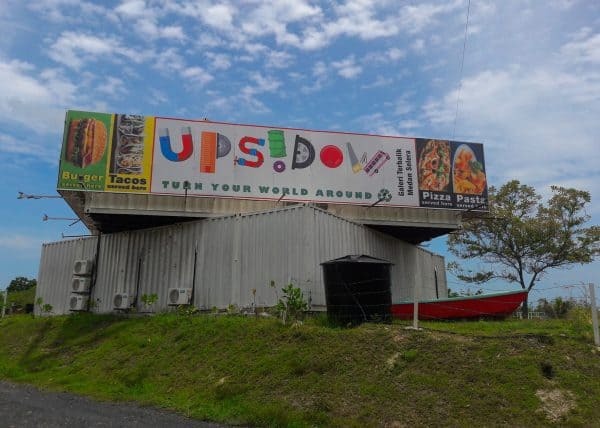 For some cheeky good old fashion fun the Upsidow House is, well, an upsidedown house (of sorts) with a twist. 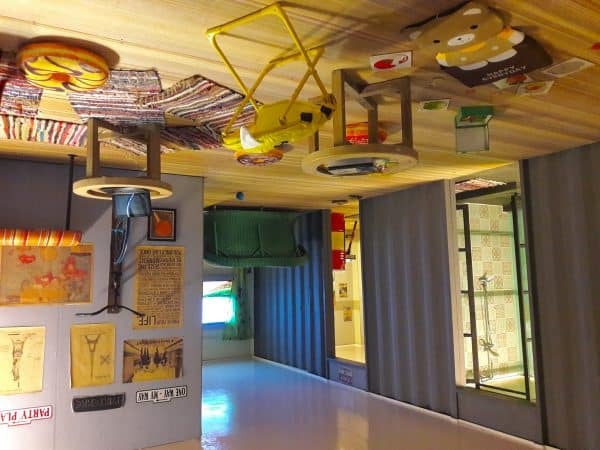 Created from shipping containers and magnificently decorated upcycle style by using an eclectic assortment of second hand furnishings. It is an upside-down artistic instillation if you will. Basically, everything is on the ceiling. 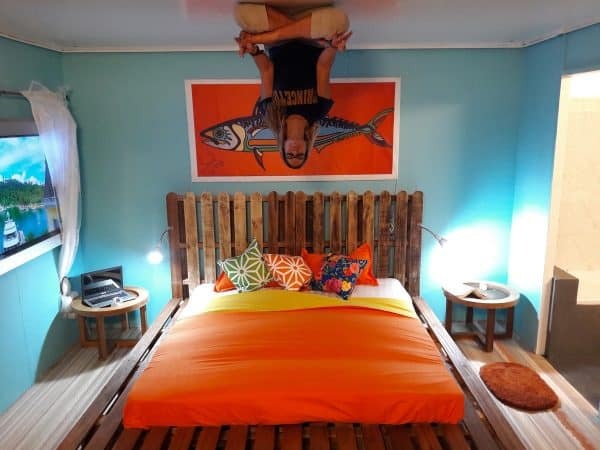 Or actually visitors are on the ceiling. Either way it’s a fun place to get a few selfies and have a bite to eat, as they have an onsite café as well. Entry is RM25-30 for adults and RM20-25 for children. 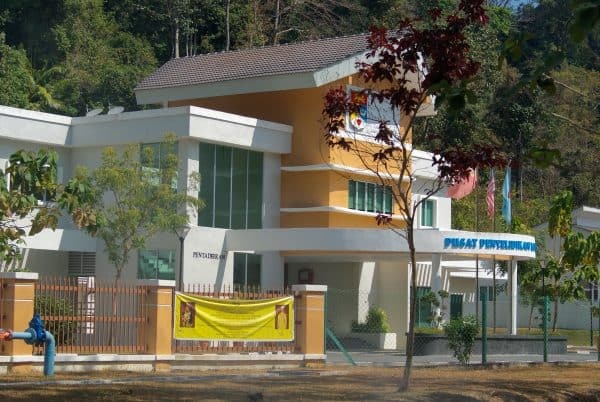 The Upsidow House is located along the stretch of road between the Langkawi International Airport and Kuah Town. Prefer more traditional forms of rainy day entertainment? How about a game of 10 Pins? Langkawi has a very popular bowling alley located upstairs in the Jetty Point Complex at the Kuah Jetty (ferry building). 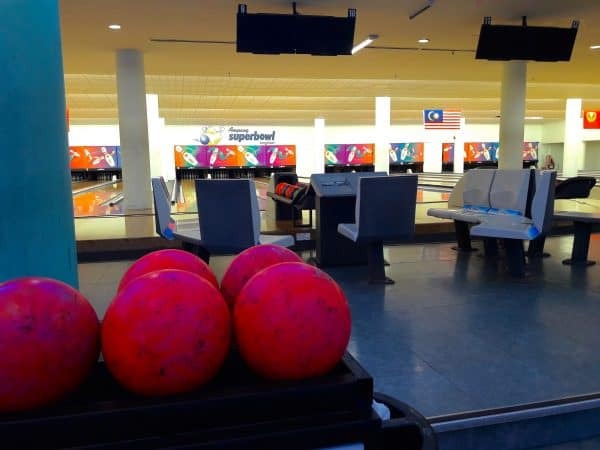 Ampang Superbowl is open daily from 11:00am until 12:00am, with special rates before 5:00pm. Shopping more your thing? 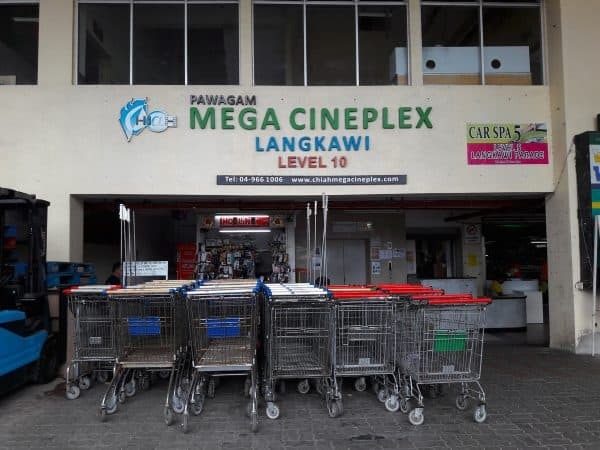 Langkawi Parade MegaMall in Kuah offers an abundance of interesting shops and eateries. Don’t let the somewhat dated exterior fool you, because it has a surprisingly great selection inside. They also have a very well-stocked Duty Free supermarket and one of my favorite reflexology (foot massage) outlets. Lifestyle Foot Reflexology is located on the 3rd Level (next to the escalator) and open daily from 10:00am until 22:00pm. 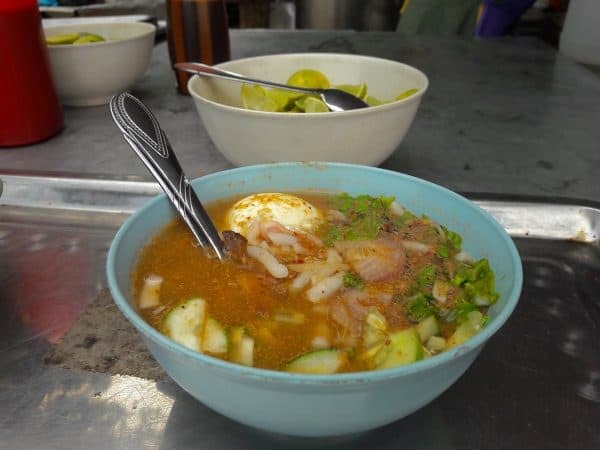 Of course you will get hungry throughout the rainy day and Langkawi is no stranger to lengthy makan-makan. When a sudden shower commences, the local motorbike riding community will often seek shelter at the first popular restaurant spot available. So, if you are out and about, keep your eyes open for a lot full of motorcycles and you will have most likely found a local eatery with some good old fashioned traditional eats available. And if greeted with a “Sudah Makan?” (Loosely, have you eaten yet?) You can proudly show off your Malay language skills by replying, “Belum” (not yet). Prefer to keep the sea in your field of vision? 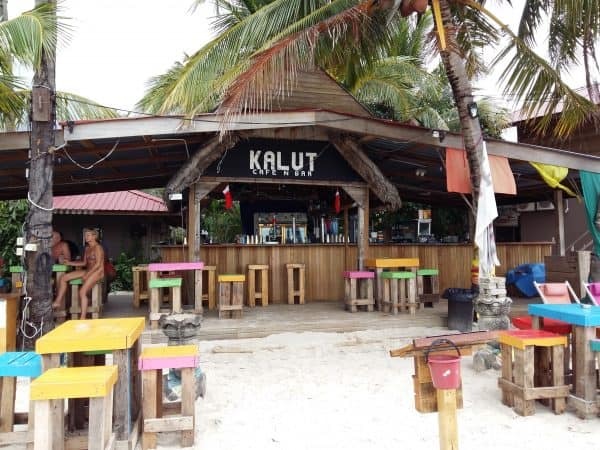 Check out Langkawi’s Best Waterfront Watering Holes. You may even get lucky with a break from the rain and a burst of sunshine to brighten your day. So be sure to bring your swimmers just in case! 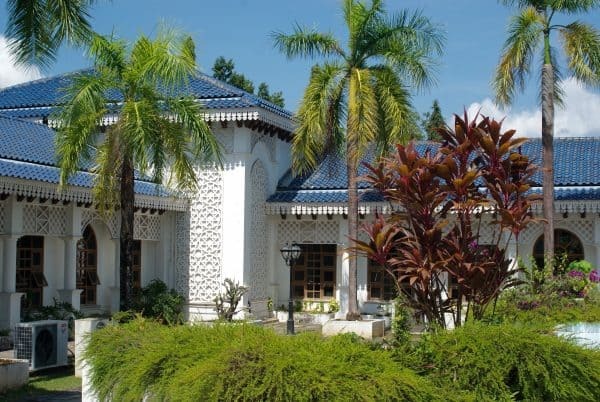 Halfway between the Langkawi International Airport and Oriental Village is the Ritz-Carlton Langkawi. The Ritz is located on the picturesque waterfront just a short distance from the eclectic fishing village of Kuala Teriang as well as Telaga Harbor. 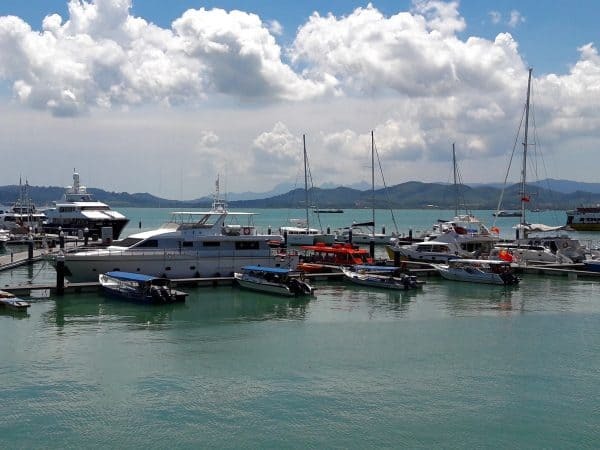 For the Kuah area, the Royal Langkawi Yacht Club’s new 44-rooms three-star boutique hotel; the Langkawi Yacht Club Hotel (LYCH) puts you near the local action of Langkawi’s main town and just down the road from shopping, spas and the night market. Housed within the Yacht Club’s new Fisherman’s Wharf, the maritime ambience of melodic tidal surges and clanking halyards are a relaxing rainy season alternative to an inland hotel. Getting around during the Langkawi rainy season is pretty much the same as getting around during the non-rainy season. With no public transportation available, you will be renting a car, motor bike or taking taxis (including Uber and Grab) to get anywhere outside of deemed walking distance. Your hotel should be able to accommodate you with a daily rental of wheels of your choice, so you can be more spontaneous. But do be careful as the roads can get quite slippery and driving at reasonable speeds is in everyone’s best interest. Especially the various island wildlife. For more ideas on things to do in Langkawi, be sure to check out Langkawi Sightseeing and Adventures and our listing of weekly events. thank you for sharing upsidow, we highly apreciate. There is definitely lots to do in the rainy season. The pick for me must be the upside down house, they must have used the same builders who recently worked on my house. Ha! Actually I had the privilege of popping in while they were putting the upsidow house together. A group of talented artists were very meticulous about the placement of items and the color scheme. Lots of classic retro pieces were also used in addition to creative upcycling. It’s very cool looking. Would love to explore the Kraft Komplex – the idea of a wedding museum sounds interesting. Wonder, why we do not hear it more often as weddings around the world, come with so many varieties of customs and rituals. Upside down house looks interesting too. You’re right. Wedding customs and rituals from around the world is a fascinating museum idea. i always appreciate rainy day guides because i find myself needing them so often! 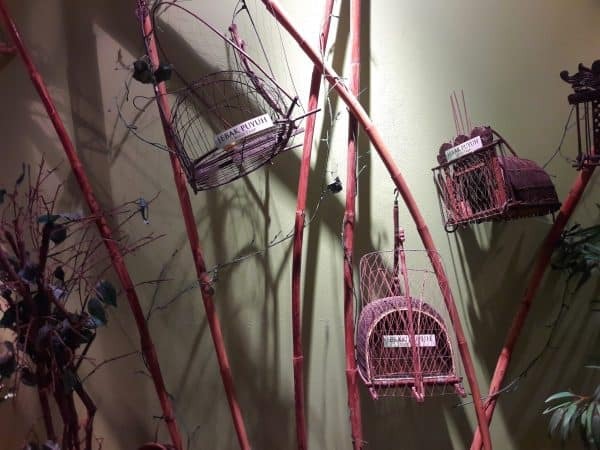 I love the idea of attending a batik class at the Craft Complex. Is it possible to bring home your own dyed scarves from there? Yes Gabby, you do get to take your fabulous work of art with you when you leave. If you travel through various parts of Malaysia, keep an eye out for similar batik outlets or classes, because different Malaysian states have different ‘patterns’ and styles. It is an interesting aspect of Malaysian culture. I’ve always been so busy being dazzled by all those beautiful beaches I had no idea there was so much to do indoors in Langkawi. As a bit of a politics junkie I’m especially intrigued by Galleria Perdana, sounds right up my alley. Not just for rainy days, we do get our fare share of super hot days, so anything indoors is a blessing, especially if there is air-con. 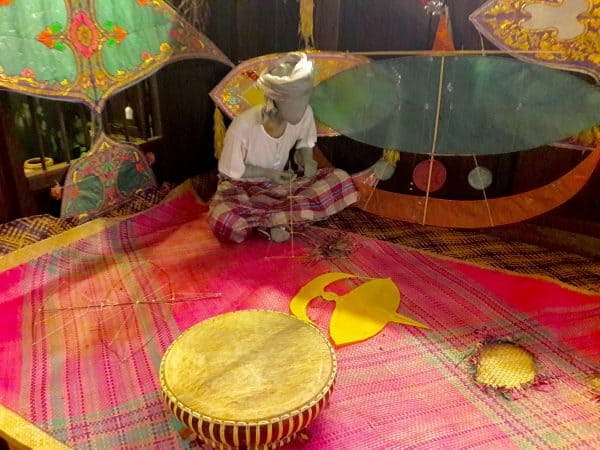 Thanks for this article – it’s great to know that despite being off peak, there is still plenty of things to do in the Langkawi Rainy Season. 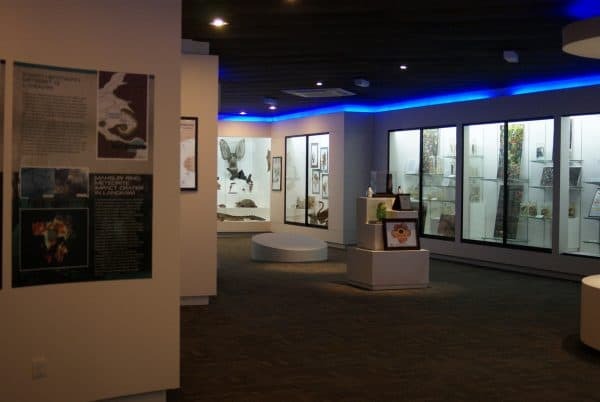 Museums are always a great way to spend time when it’s poor weather outside, and it sounds like there are some great choices in Langkawi. And can’t beat that rainy day food! Good tip on choosing a great hotel hangout with fun amenities if you might be stuck there during the rain. I really love traveling during monsoon seasons because it usually brings out a lot of wildlife – did you see any during your trip? Big nature / wildlife enthusiast here! Hi Megan! The wildlife in Langkawi seems to like any kind of weather and the birds are especially abundant. Over 200+ species call the archipelago home. Also otters, snakes, monitor lizards, monkeys, wild boar.. loads of critters! I absolutely love this post because I have a curse- whenever I travel to a place, be it the rainy season or not, I end up with at least a few days when it pours and because I am a very outdoorsy person, I hate it and become all cranky that I have to be stuck indoors. It’s good to have a ready prepared list of things to do on days like this, at least it won’t feel like I’ve wasted my time! I absolutely love Upsidedow House, I can imagine all the funny pictures I will take there, haha. That is a very resourceful guide on sights around Langkawi. It is impressive Malaysian culture is well preserved in Kraft Komplex. The upside down house sounds so much fun. I am adding this place to my must visit list. I hope you do come and visit Langkawi Indrani, I would also love to take you to visit the Indian temples here so you can explain them to me. Such a great idea Vanessa to write an article like this as rain so often puts people on the backfoot, especially during periods of monsoonal weather. So much to do here and I can’t believe you call this place your home, just beautiful. I’d be more than likely to head to learn about the politics, perhaps swing by Upsidow spot, just because it’s so super weird and then head to the beach for the waterfront cafes and just spend some time hanging out there. Malaysia is just so full of unique places and each one different from the others! I’ve not heard of Langkawi, but I’d love to visit based off your post! The upside-down house is just such a unique attraction. I would love to visit! Those photos are so crazy! Thanks Paige! And yes, Malaysia does have many unique sightseeing options. I think you will love it. Movies! My fave thing to do during monsoon season Vanessa. Especially in places like Thailand and Malaysia. Last time I was in KL I recall a $2.50 USD price for a ticket. In nice theaters. I know the government cut down on piracy by making movies so cheap. Toss on your rain slicker, hop on the motorbike and enjoy.